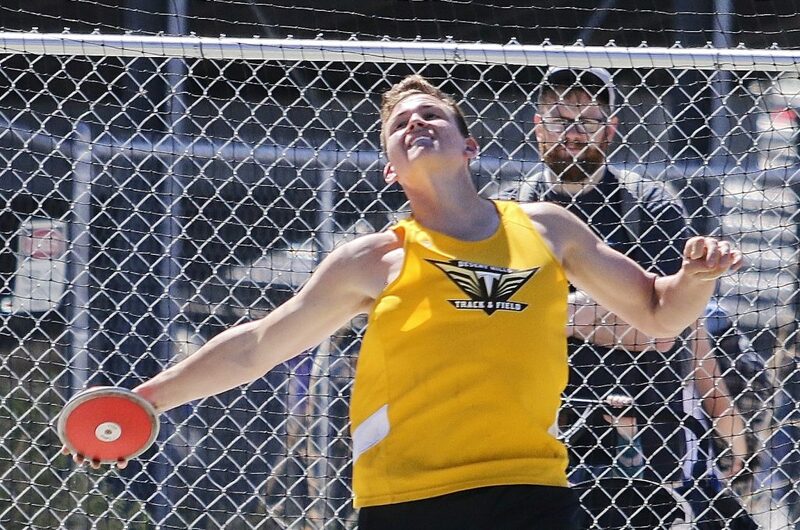 ST. GEORGE — The Desert Hills track and field teams continued their winning ways, taking first place in both the girls and boys categories at the Dixie Invitational meet held Friday and Saturday at Dixie High School. The event attracted 15 schools, including all seven Region 9 teams. 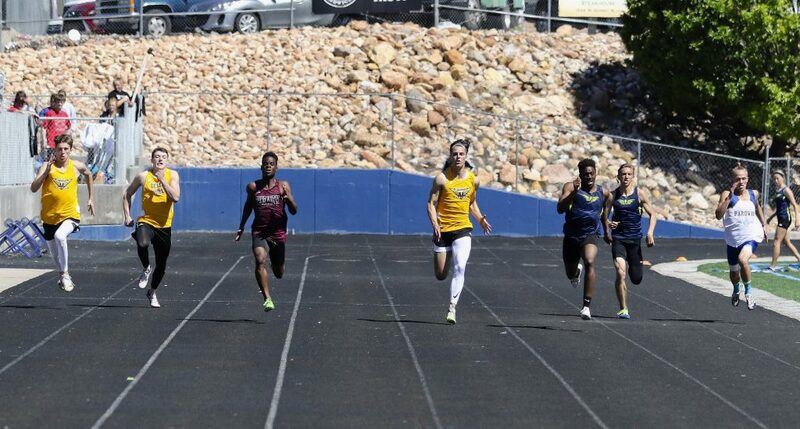 See St. George News’ photo gallery and top 10 team placings and scores at bottom of story, and click here for complete results of the meet. 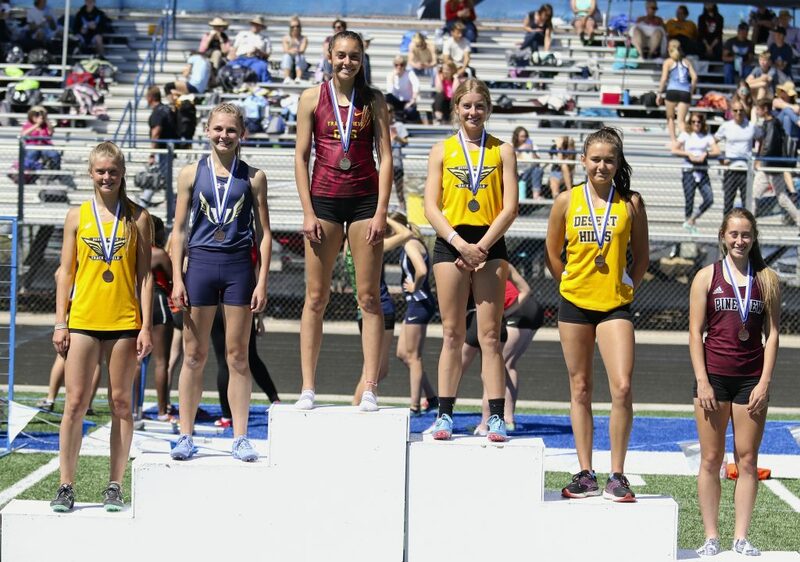 Senior Bailey Brinkerhoff of Desert Hills won the 1,600-meter run in a time of 4:58.82, second best time in the state so far this year, among all classifications. Brinkerhoff also placed second in the 3,200-meter run with a time of 11:05.64. Senior Jasie York of Cedar High won the 400-meter race in a time of 56.87, which was her best time this year and also the best time in the state this season. 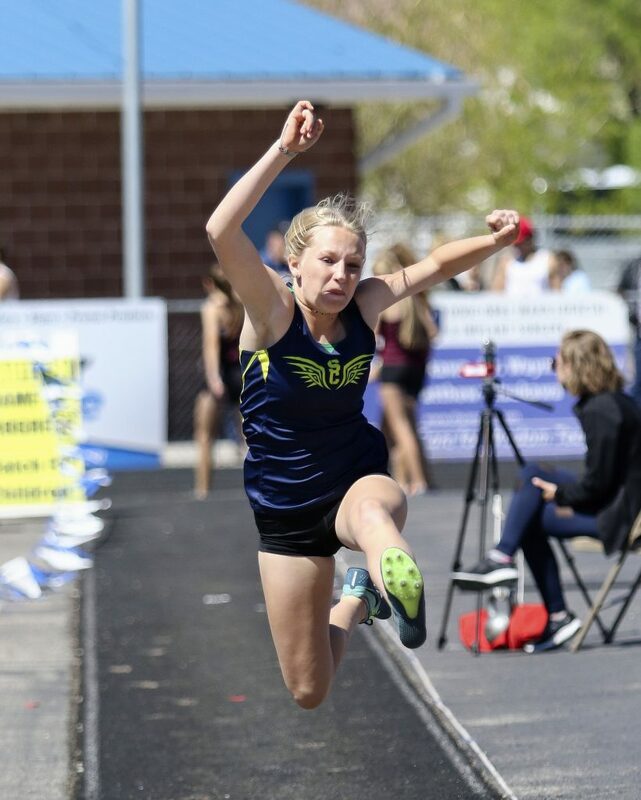 York also won the 200-meter dash in 25.83 seconds and placed second in the 100-meter dash, her time of 12.80 seconds in that race coming in just 0.01 of a second behind winner Isabelle Hightower of North Sanpete. Alli Baker of Pine View won the 800-meter run in a time of 2:17.49. Chloe Taylor of Desert Hills won both the 100 hurdles and 300 hurdles. 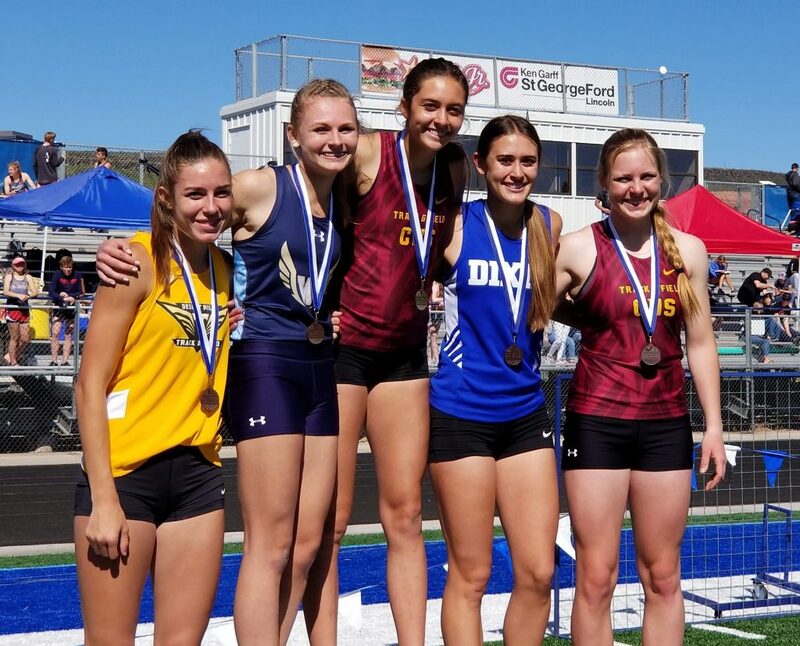 The Desert Hills girls 4×100 relay team took first place, with Madison George, Mia Echohawk, Brynn Christensen and Hannah Anderson teaming up for a winning time of 51.49. The Cedar Lady Reds won the 4×400 relay, while the Canyon View girls won the sprint medley. 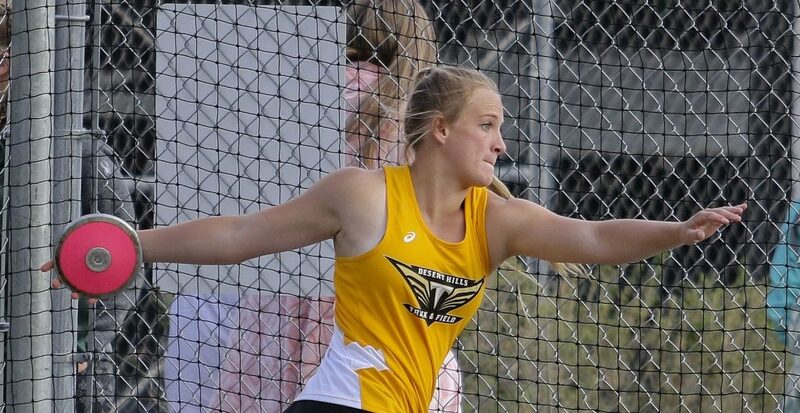 In field events, Abby Monson of Desert Hills won both the shot put and the discus for the second week in a row. 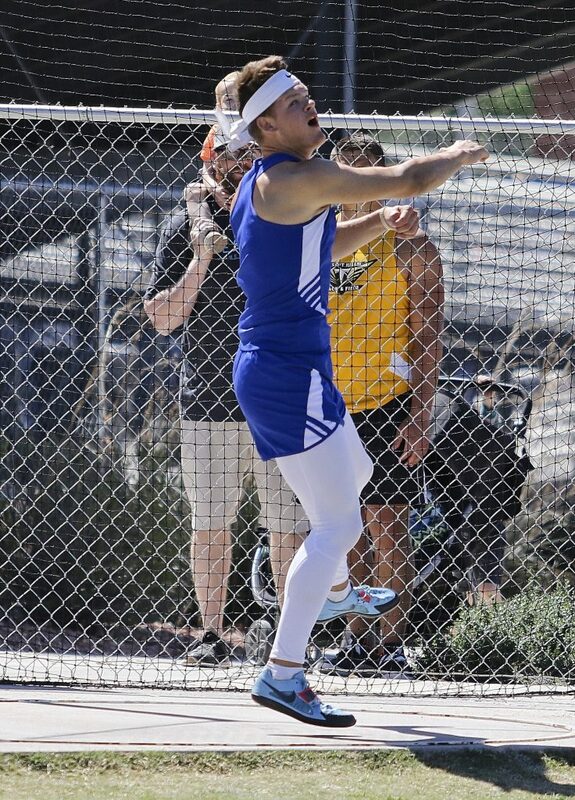 Her winning shot put distance of 35 feet, 2.25 inches was an improvement of about 6 inches from the previous week. 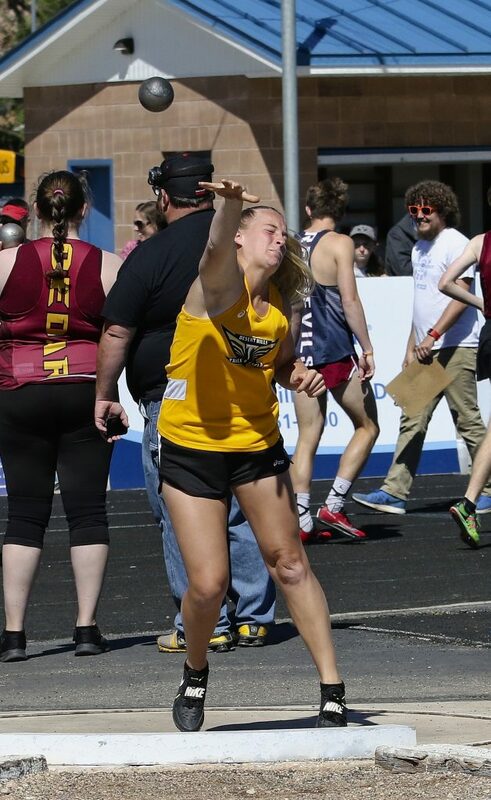 Sophomore Logann Laws of Cedar won the girls javelin event with a top throw measuring 127 feet, 7 inches. 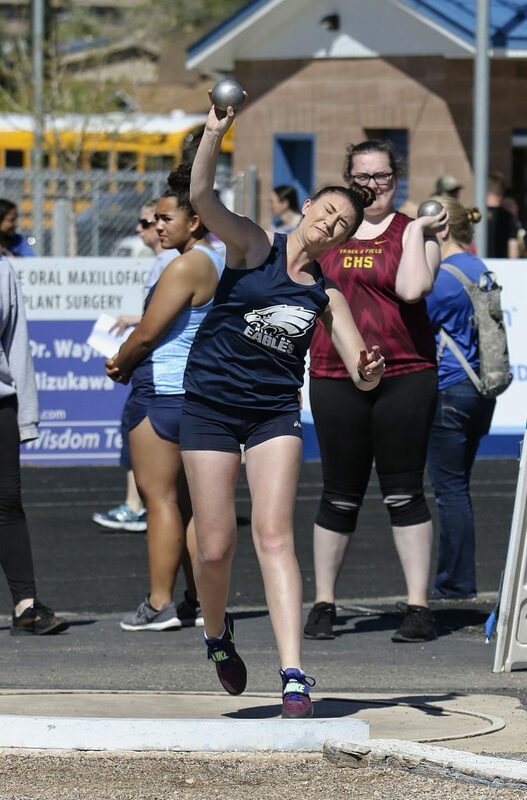 Junior Sophia Chandler of Snow Canyon was a close second with a throw of 125 feet, 3 inches. 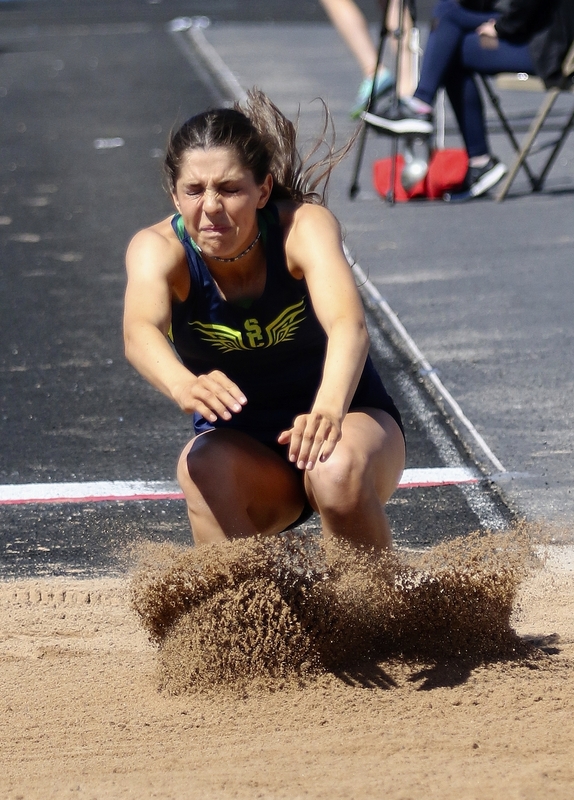 Chandler also won the long jump; her best leap of 16 feet, 6 inches was just one half inch farther than runner-up Mayci Torgerson of Cedar, who jumped 16 feet, 5.5 inches. 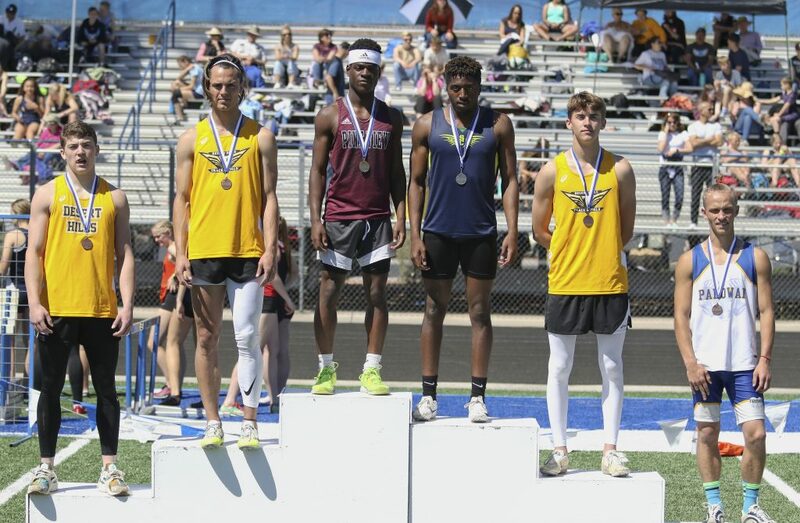 In boys events, Desert Hills senior Cooper Kenney won the 100-meter dash 11:53, narrowly edging Keilen Washington of Snow Canyon, who finished second in 11.54. Kenney also anchored the Thunder’s winning 4×400 relay team, joining Logan Wilstead, Riley Emett and Braden Squires in clocking a time of 3:28.90. Squires also won the 400-meter run in a time of 50.16. 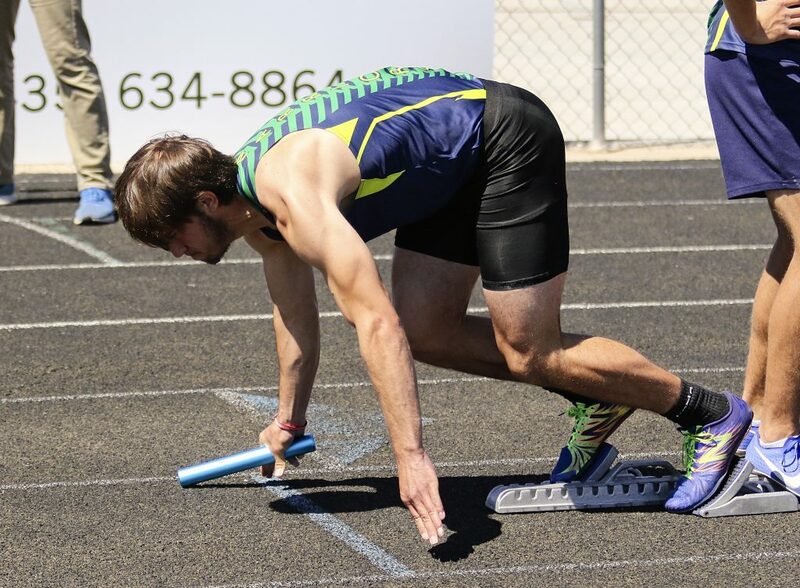 The Cedar Redmen won the 4×100 relay, while Canyon View’s boys won the sprint medley relay. Brady Bettridge of Cedar won the 800-meter run in a time of 1:56.55. 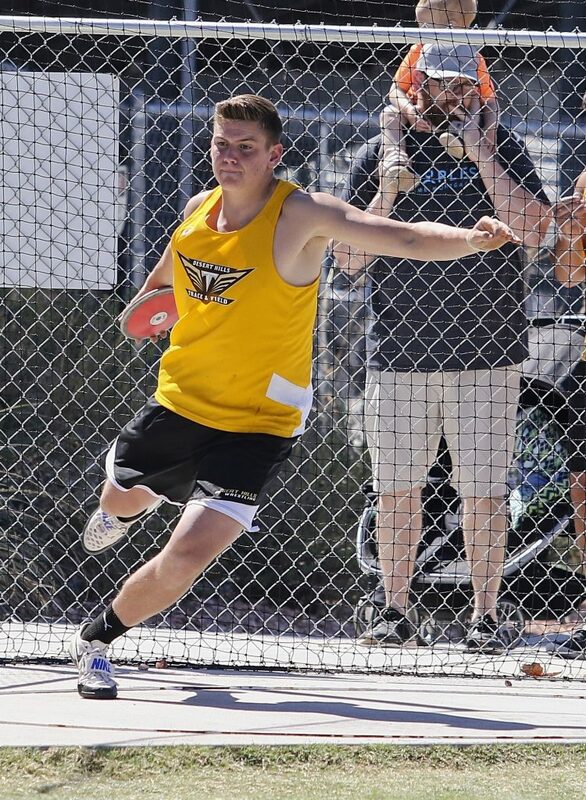 In field events, Mason Creager of Desert Hills placed first in the javelin with a throw measuring 171 feet, 10 inches. 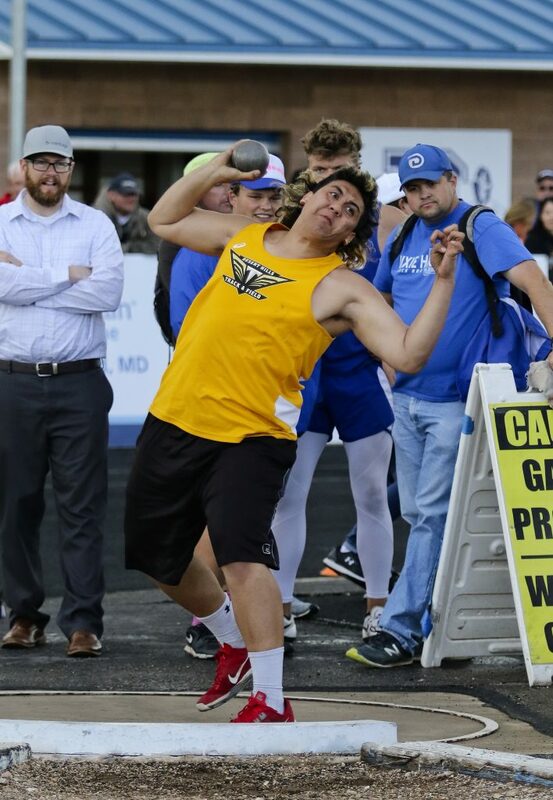 Brock Nowatzke of Snow Canyon won the shot put with a throw of 48 feet, 3 inches. 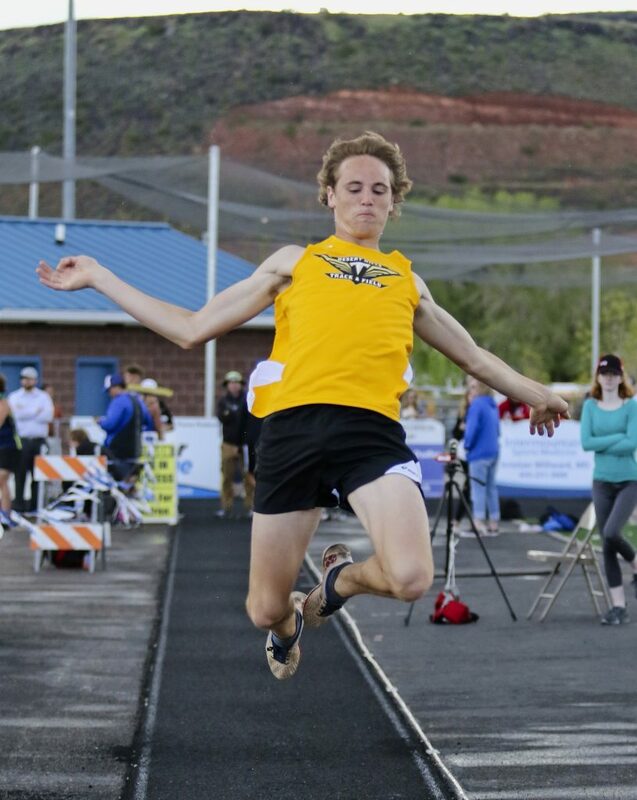 Ammon Smith of Desert Hills won the long jump with a leap of 20 feet, 0 inches.